Different generations of Cuban women held today on International Women's Day with the pride of living in a society that claimed rights and has for half a century as real stars. Students, workers, executives, retirees, housewives, all receive the pampering in student facilities, workplaces and neighborhoods of the most diverse places on this island. To the Cuban is not, as in other countries, day demands, holiday and count what has been achieved and the more we can move forward in forging a nation of women and men alike. 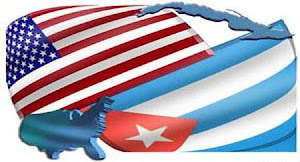 As a Cuban woman, proud of the role we have played, comes to all my countrymen my greetings and my congratulations: HAPPY DAY, CUBAN WOMAN!